I attempted one of the most dangerous stunts of my adult life and I lived to tell about it! Many people tried to get me to avoid this “stunt” because it was too dangerous, but I’m a daredevil, risk-taker at heart. My stunt of choice on this warm Spring afternoon was changing the front brakes of my car and I was up for the challenge! 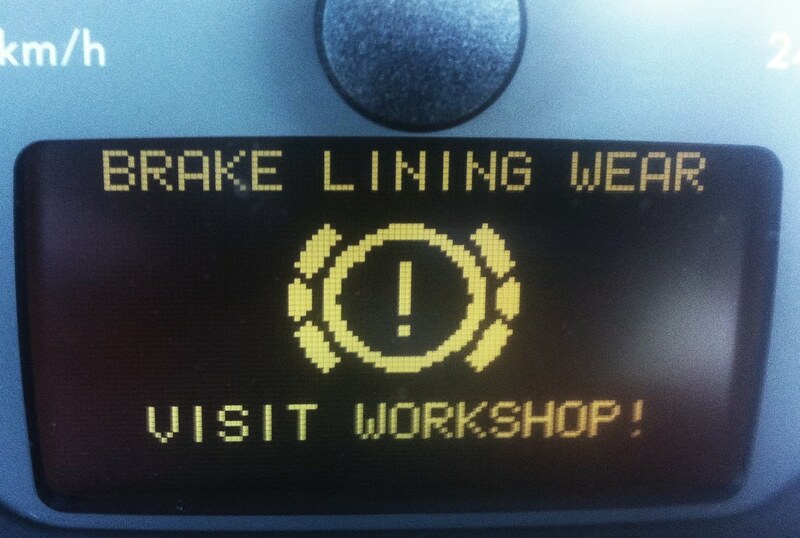 Changing the brakes of a car was never on my life’s to-do list so I never bothered to learn how to do it, but when I saw the dreaded “BRAKE LINING WEAR” message on the car’s display, I had a decision to make. My first option was to take my car to the Mercedes dealership, which would have cost me three arms, two legs, the ovary of an Ethiopian waterfowl, and five hundred shekels. My second option was to channel my inner mechanic and change the brakes for myself. Since I only had two arms and couldn’t find any indigenous waterfowl, I ordered the parts, tools and sensors for the repair and I contacted the best car repair instructor that I could find—YouTube. Somehow, I was able to remove the worn brake components and install new, high-performance brake pads in its place. When both front brake pads were installed, I put the wheels back on, lowered the car to the ground, and initiated the most death defying (crazy in hindsight) stunt that I’ve ever tried. I drove to a deserted road in my town and sped down the road at about 50 mph, then I slammed brakes and hoped for the best. At that moment, it didn’t occur to me that if the brakes didn’t work, I would be taken for the most exhilarating ride of my life, but luckily, the car stopped very quickly. Then I accelerated to 70mph and slammed brakes again. Again, the car stopped very rapidly. I repeated the test several times and when I was finally convinced that the brakes were perfect, I went back home realizing that I just saved myself five hundred shekels! After this wildly successful stunt, I am convinced that I can do anything when I mix Professor YouTube with God and my daredevil attitude. Now I’m ready to undertake my next stunt— does anyone need me to diffuse a bomb or perform open heart surgery?? As long as there’s a YouTube video for it, I’m an expert!